<i>Dallas</i> Season 2: Worst Casting Ever? 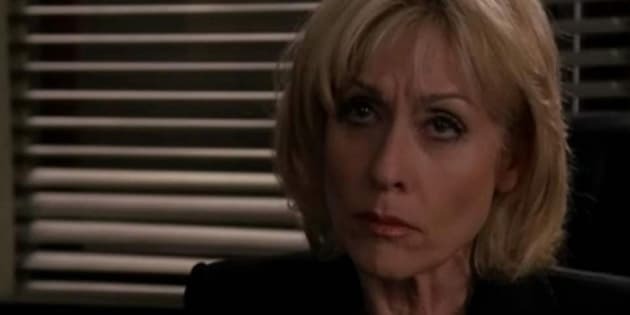 I've been a fan of Judith Light long before Tony Danza was hollering "Angela!" around the Bower household, but her new role on Dallas is just a little too far-fetched for me to believe. I've been a fan of Judith Light long before Tony Danza was hollering "Angela!" around the Bower household. My mom would record ABC's daytime lineup (you know, back when there was a daytime lineup) from Ryan's Hope to General Hospital, so I became very familiar with One Life to Live. Light's portrayal of Karen Wolek -- a bored housewife who ventures into a life of prostitution -- was multifaceted and heartbreaking. I was way too young to be watching such serious fare, but her courtroom scenes were some of the few my mother didn't record over on our trusty Betamax, so I didn't watch them until I was in my tweens. But even watching them years later, I couldn't take my eyes off the screen. On One Life, Who's the Boss?, Ugly Betty, Law & Order: SVU and loads of TV movies in between, Light has proved she's a force to be reckoned with. Sadly, though, even she's not good enough to sell her latest role on Dallas. Sorry, Ms. Light, but this has nothing to do with you; Dallas' casting department is entirely to blame. Let me first say: I love Dallas. It's the perfect balance of drama and romance with hints of snark, and just the right amount of cheese thrown in. The few soaps that are still on the air should watch every episode and take notes because what executive producer Cynthia Cidre, her crew and cast are doing should be used as a model for the genre. I hadn't found anything wrong with the show thus far -- but the last five minutes of Monday's Season 2 premiere is asking a lot from its viewers. After a quick hop over to IMDB, I learned Light was born on Feb. 9, 1949, while Pileggi arrived three years later, on April 5, 1952. This is not to knock either actor, but they both look their age. There are dozens of actresses who could have convincingly played Harris' mom and while I love Light, this is just too much. It's a little maddening that she would be miscast in such a way, but because Dallas is so good with the twists and turns, I'm hoping there'll be more to the character of Judith Ryland than what we learn in the season premiere. I mean, there's already the two-timing shenanigans, the reveal of a kidnapping, a stolen identity, a new dynamic duo and the usual Ewing in-fighting, so if Light ends up being Harris' wife, not his mother, it won't be too surprising. On the contrary, nothing would please me more. Pileggi is now a Season 2 regular, while Emma Bell (The Walking Dead) joins the cast. Another thing I noticed in the credits is that in the first hour, Jesse Metcalfe (Christopher Ewing) received top billing, but in the second hour, Josh Henderson's (John Ross Ewing) name was first. (I don't know why I'm mentioning it, I just found it odd.) But what I'm looking forward to most this season are the returns of some of the oldies but goodies. We'll obviously see more of Cliff Barnes (Ken Kercheval), now that we know Rebecca's (Julie Gonzalo) -- or should I say Pamela's? -- true identity, but I really, really, really hope Gary and Val Ewing (Ted Shackelford and Joan Van Ark) turn up soon. Perhaps in his last episodes, we'll see Light share some screen time with Larry Hagman. Since Hagman passed away during production of Season 2, Dallas will also have to deal with the death of J.R. Ewing -- with a "Who Killed J.R.?" mystery. Obviously. Hagman may be gone, but his presence will forever be felt, and that's probably just how he, and J.R., would want it. Now, writers, right the Light situation and all will be forgiven. The second season of Dallas premieres on Monday, January 28 at 9 p.m. EST on Bravo in Canada and TNT in the U.S.